Terrified Anne Millar, 75, and husband William, 79, say they cannot enjoy their garden without being targeted. The torment began six months ago when a couple of gulls began nesting on industrial sheds opposite their home in Forfar’s Lethnot Gardens in. Mrs Millar said: “We’ve lived here for 23 years and we’ve never had bother with birds. “The gulls have been keeping us awake at night because of the noise which goes on all day. “They don’t seem to be social and have been squawking to scare all the other birds off the roof of the shed. “We can’t sit in the back garden because they’ve been dive-bombing us. “They are so aggressive that we just can’t go outside – being trapped inside is the last thing we need when the weather has been so nice. Experts say numbers of urban gulls are rising because nesting on the roofs of offices and houses means the birds can avoid predators such as foxes, so more chicks survive. Also food waste dropped on urban streets provides a ready supply of meals. All bird nests are protected by law, so once a gull has made a nest, it cannot be removed until the young have fledged. If nesting gulls are a problem, deterrents can be used to prevent them from building nests in the first place. 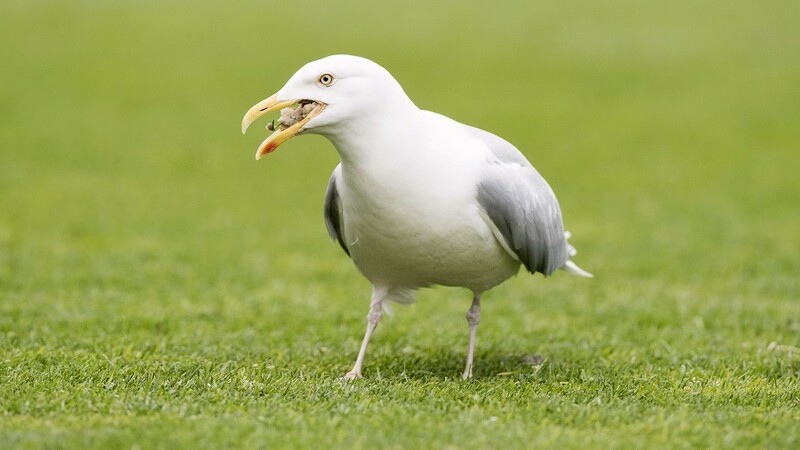 An Angus Council spokesman said: “Seagulls are protected under the Countryside and Wildlife Act but the council has a ‘general licence’ to control these birds by non-lethal means. “The law does allow for lethal means of control in relation to seagulls, but only in very extreme circumstances, such as where there is a risk to human health and where it can be demonstrated that all non-lethal means of control have been exhausted. “We offer a free egg removal service to all domestic residents and we ask anyone who sees nest-building activity on their property to contact us as soon as possible to make arrangements for the eggs and nest to be removed. “Unfortunately once eggs hatch the gulls start swooping in order to protect their chicks – at this point no action can be taken.